Gatorland is one of the best 'value for money' attractions Orlando has to offer. For less that the cost of a good meal, you get a fun family day out that the Kids will love. And for the adults in your party, the walks are breathtaking. 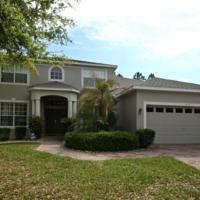 Highlands Reserve is one of the most prestigious family holiday and residential communities in the Orlando area, situated just off of US Highway 27 in a safe, peaceful location set amongst a beautiful rolling countryside with an abundance of trees and orange groves adding to the natural beauty of the area. There are excellent supermarkets (less than a mile), shopping malls, banks etc., in the locality. 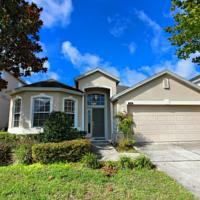 you wish to rent out in Florida? Local attractions include: Discovery Cove, Disney's Animal Kingdom, Disney's Epcot, Disney's Magic Kingdom, Disney's MGM Studios, Disney Quest, Fun Spot Action Park, Gatorland, Green Meadows Petting Farm, Nature Conservancy's Disney Wilderness Preserve, Sea World, Titanic-The Exhibition, Universal Studios, Universal Islands of Adventure, Wonderworks, Downtown Disney, The Mercado, Universal Studios City Walk, Disney's Blizzard Beach, Water Mania, Disney's Typhoon Lagoon, Wet'n Wild. Other attractions within driving distance: Adventure Island Tampa, Astronaut Hall of Fame, Busch Gardens, Tampa Bay, Kennedy Space Centre Visitor Complex, Daytona Beach, Amazing Exotics, Clearwater Beach, Miami, Everglades National Park. 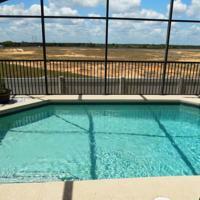 Highlands Reserve Golf Club, 500 Highlands Reserve Blvd., Davenport, FL 33837. 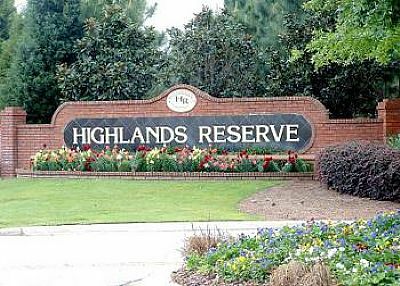 Telephone: (001) 877.508.4653 Web http://www.highlandsreserve-golf.com/ . Championship 18 Hole Golf Course (Par 72); golf coaching, driving range, putting facilities, club house, beautifully landscaped, within minutes of many other championship rated golf courses. Highlands Reserve is ideally located for easy access to all the major Orlando theme parks and attractions and within a very short drive there are shops, restaurants, bars and supermarkets. 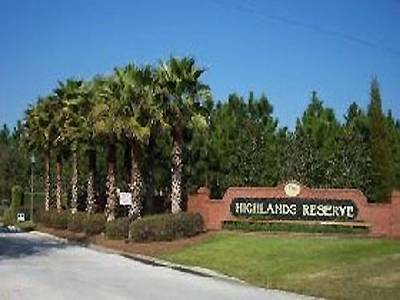 Highlands Reserve adjoins one of Floridas major national conservation woodlands and the community is set in beautiful rolling countryside. Highlands Reserve also has the benefit of an 18 hole par 72 golf course. 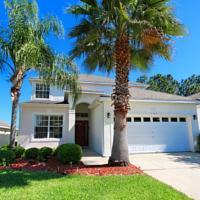 It is the closest golfing community to Disney that is legally zoned for short term rentals. Additionally the Regal Palms Country Club (and water park) which is less than 2 mins away. Fancy going to a good American Bar within ÒstaggeringÓ distance from your villa Ð then we recommend Linksters Tap Room opposite ApplebeeÕs Ð open 7 days till 2am (Sundays till midnight) Ð extensive range of drinks and a pool table and very friendly staff.